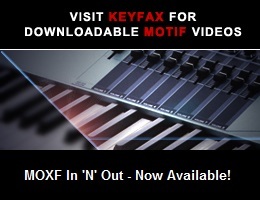 Viewing topic "Motif XF to sync with drummer." Hello, Im sorry if this is ever addressed in earlier posts. Is there a way to sync the tempo of Motif XF live performance with the accoustic drummer? ? I know that this can be done on Montage. No, that cannot be accomplished on the XF.